I am a member of several prominent fandoms. I love me some geeky TV shows, movies, video games, comics and more. And like any good geek, I can get super into the lore and backstories of these franchises. Got a wiki wormhole with dozens of pages devoted to the secret connections of several minor supporting characters? I’m in! I love a good lore. Don’t understand what I’m talking about? Comedian Patton Oswalt explains it pretty well in this stand-up clip. Lore is not just the main story, but all the deeper histories behind the characters and settings. Lore isn’t just Frodo and the One Ring, it’s everyone who came before and everything in the Simariliion. Lore isn’t just Tyrion, Daenerys and John Snow playing the Game of Thrones, it’s the history of the Night’s Watch, Bran the Builder, Robert’s Rebellion, The Tales of Dunk and Egg and more. Game of Thrones has great lore. And now I’m going to share my favorite lores with you! I’ve loved a few over the years, ignored others. Feel free to share your own favorites in the comments! Back in the day, I was so in love with the Resident Evil franchise that I was even reading tie-in novels. Crazy, right? But I loved the series, the connectivity between games and the deeper depths on the edges. 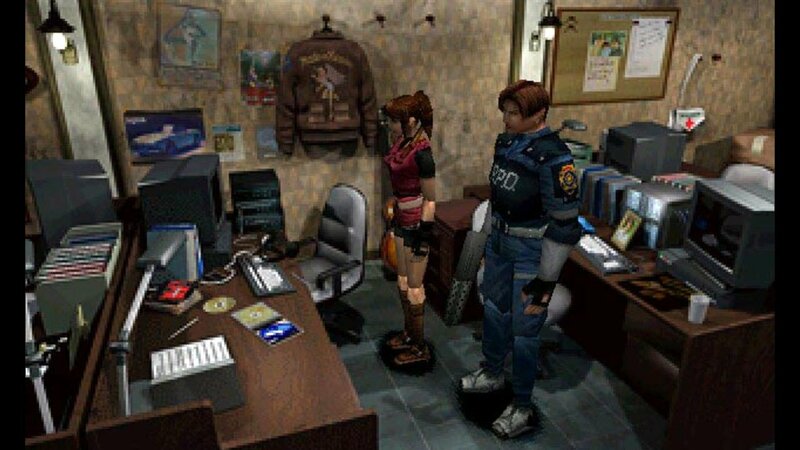 I loved how the first three games all sort of wove together, how Resident Evil 2 and Resident Evil 3 took place almost simultaneously, using some of the same settings and characters. Did you know that S.T.A.R.S. pilot Brad Vickers appears as a hidden zombie at the start of Resident Evil 2? Then shows up as an extended cameo, including showing how he’s killed, at the start of Resident Evil 3? I ate that stuff up! To say nothing about my continued love of Hunk. But my interest in Resident Evil lore pretty much came to an end with Resident Evil 4. That game revolutionized the series, and I loved playing RE4, but by then, the cohesive storyline was gone. It was no longer about the zombie outbreak in Raccoon City and the small band of connected characters who had to deal with it. I loved the deeper storylines of the Resident Evil games, but only up to a point. And the less said about the movies the better. This was a great show; wanna fight about it? 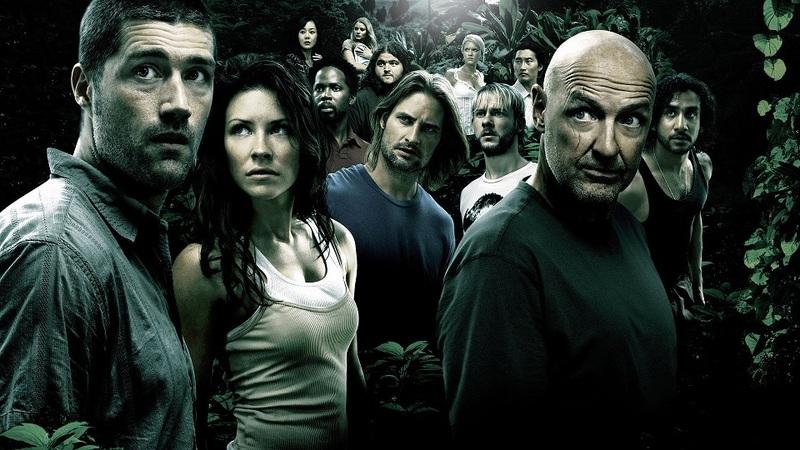 Like all good people on this Earth, I was obsessed with Lost back when it was on the air. The show was built out of mystery, then layered with more mystery, with even more mystery as cement. I ate it up like a mystery sponge! I gobbled up every tidbit reveal that dripped out to us viewers, putting the pieces together as well as I could. And unlike a lot of people on the Internet, apparently, I loved Lost all the way through the end. I loved the final season, I loved the finale, and I love how it all fits together! And it fits together better than anyone seems willing to admit. One of the Cracked writers put together a solid website with answers about Lost, and I love reading just a bit more how this, that and the other thing fit together. It’s such a really cool, impressive tapestry! Seriously, the finale was awesome. I don’t get peoples’ problems with it. I know I’m not the only fan of the Animorphs. This young adult book series was like crack to me when I was a kid. I ordered new volumes from the Scholastic Book Club, I rushed to the YA section of book stores to find the next editions. I even loved the TV show on Nickelodeon! 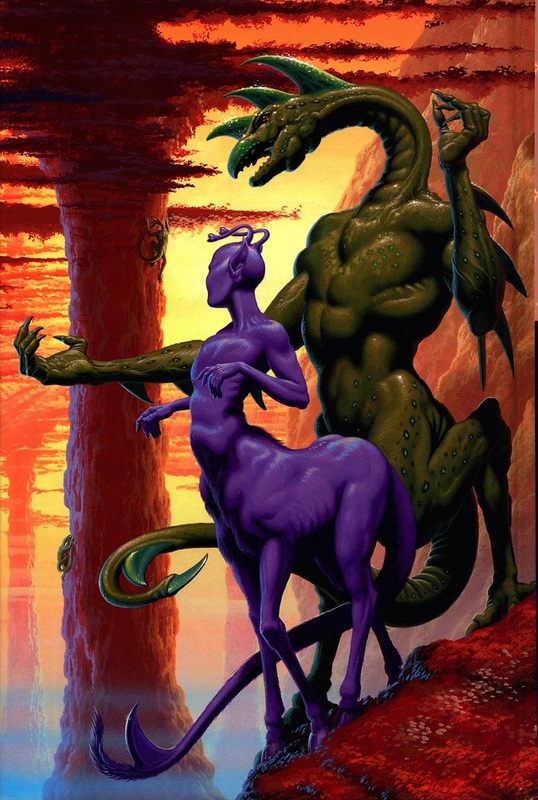 And as great as the Animorphs was on the surface, it got even better when you dug deeper into the cosmic lore! The companion books, called Chronicles, were just as good as the regular series. We learned the histories of the alien races, learned the tragic backstories of our favorite heroes and villains, learned how the universe was built. The Hork-Bajir Chronicles were so touching. And the tragedy of Alloran-Semitur-Corrass is a brutal one. The Animorphs was lore done right, deep and rich and able to influence and shape the regular, ongoing narrative. I have fond memories to this day. 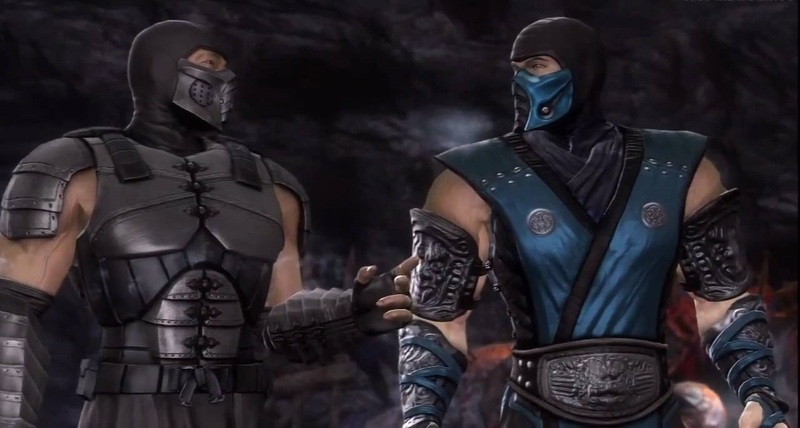 I have no real idea why, but I am glued to the Mortal Kombat mythology. 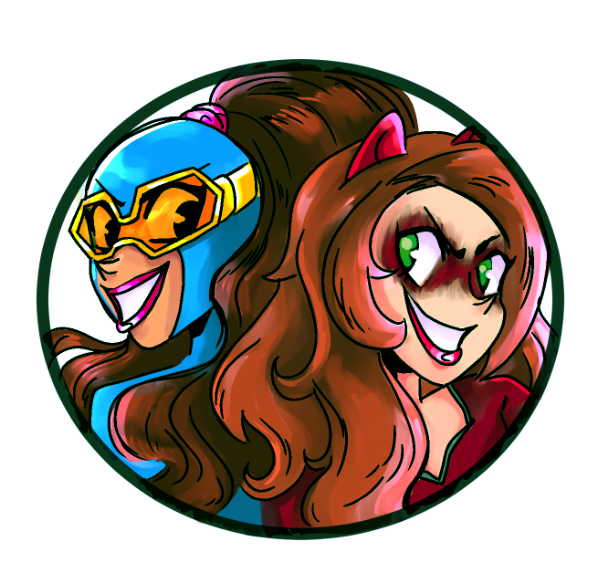 I could care less about the fighting game aspects, but tell me the back stories of all the palette-swapped ninjas and I am on board (that’s also going to be my band name)! Specifically, I fell in love with the secret character Smoke during my early experiences with the game. I love his story of being Sub-Zero’s best friend, betrayed by their masters and turned into a deadly android. And while the lore has not been all that kind of Smoke, I still find myself glued to his ongoing battle for humanity, regardless of whether or not that particular storyline pops up in a new game’s story mode. I’m obsessed. That one Smoke episode of that terrible Defenders of the Realm cartoon series was lifeblood. Beyond Smoke, there’s just a lot to love about the elaborate, contradictory and wholesale unimportant stories in Mortal Kombat — and I only really care about half of them. I couldn’t give two poops about Liu Kang, the supposed main character. But I could spend a good long while reading about Rain’s backstory. It’s probably not super shocking that I am a Star Wars fan — or that anybody is a Star Wars fan, for that matter. It’s weirder if somebody isn’t a Star Wars fan. But how many of those fans can claim extensive knowledge and interest in the Expanded Universe? I’ve spent many a link journey on Wookieepedia, let me tell you — in addition to all the novels, comics, cartoons, and video games I’ve explored. Nearly every single character who ever appeared in a Star Wars movie has an intricate backstory, not to mention the thousands of original characters in the EU. Not to double mention the new canon EU, courtesy of Disney. 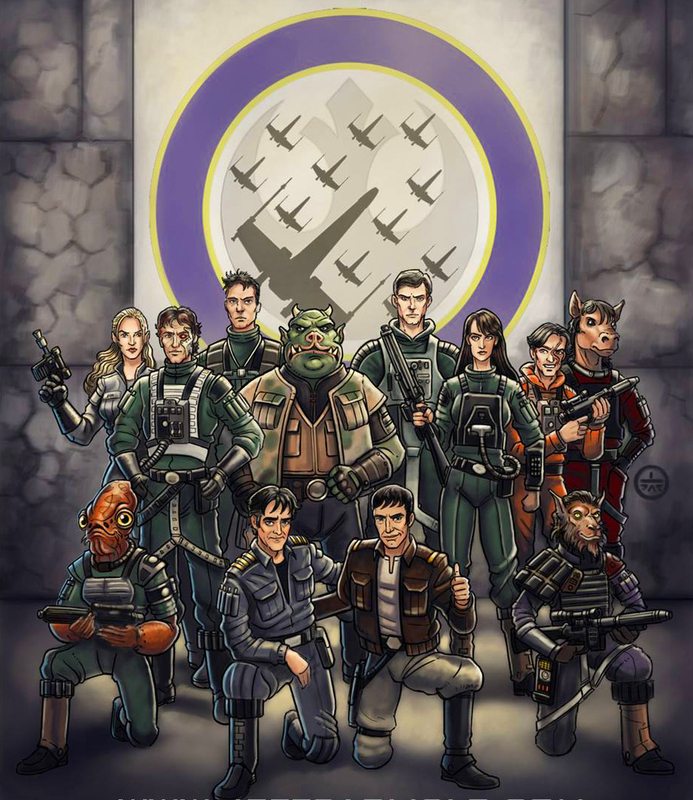 I got my start reading the Rogue Squadron novels, set shortly after Return of the Jedi. That was just the beginning. I followed the tales through Wraith Squadron and the Yuuzhan Vong. I journeyed into the back story of Darth Maul and Dengar the Bounty Hunter. I’ve looked into the mysterious world of Wookiee Jedi. I know the fate of Asajj Ventress. Or what about Qui Gon Jinn’s original Padawan? He’s totally a thing! The Star Wars movies are great and all, but this is a whole universe worth exploring. This is it, the grandaddy lore of them all! 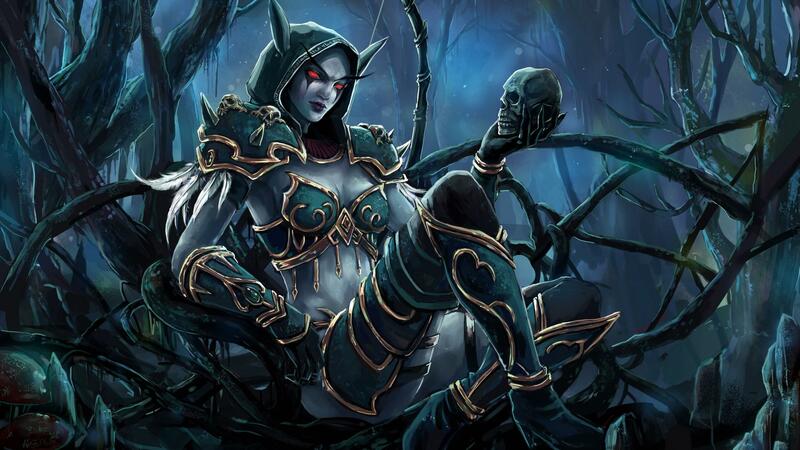 I am obsessed with World of Warcraft lore and it is the primary reason I keep going back to that game every few years. I love the world, I love the stories, I love the characters, I love the deep, deep, deeeeep mythology that is still being written. I love the story of the orcs, and how they aren’t just brutish monster people, but are just as relatable and sympathetic as the human characters. I love the Horde. I love gnolls. I love the complex origins of the murlocs. I love the origin story of the universe and how it applies to quests in World of Warcraft. I love all the little secrets, like Prince Arthas’ secret sister or the hidden tombs to classic characters. And I especially love how it all comes together in an epic, ongoing game that keeps building on that lore, both big and small. Even this buxom video game babe has a long and intricate back story! 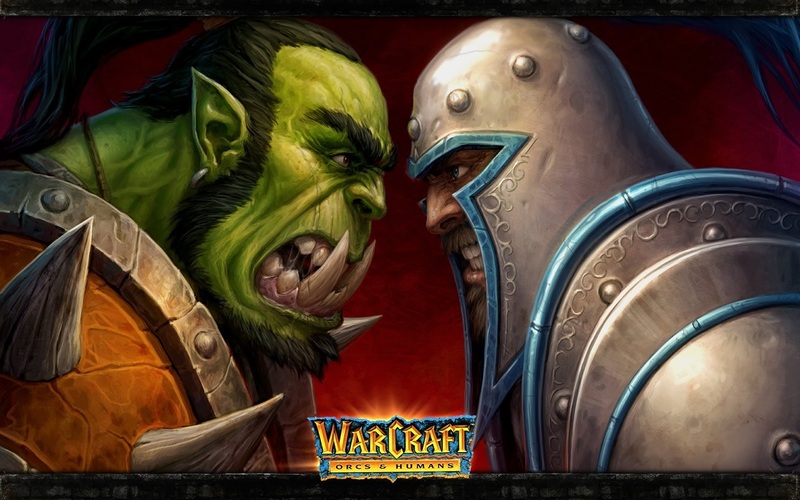 I’ve been playing Warcraft games since the very beginning, back when they were real-time strategy games. And the reason why I love World of Warcraft so much is because the game is built around the lore established in those early games. I wrote about this a long time ago, but World of Warcraft is the best MMO because you really are part of the world. You can visit the Dark Portal that started it all. You can meet and/or fight characters who were first introduced in the RTS games, and who have now been recreated in WoW. And there are some characters who debuted at the start of WoW who followed the course of the game’s storyline and rose to be super important, yet still ancillary to the gameplay. The World of Warcraft is so expansive and inclusive that you can’t take it all in in one sitting! And there doesn’t seem to be any sign of slowing down. I have yet to dive into the latest expansion, Legion. And no doubt there will be more after that. Warcraft is the lore that keeps on giving. What are your favorite lords and mythologies? 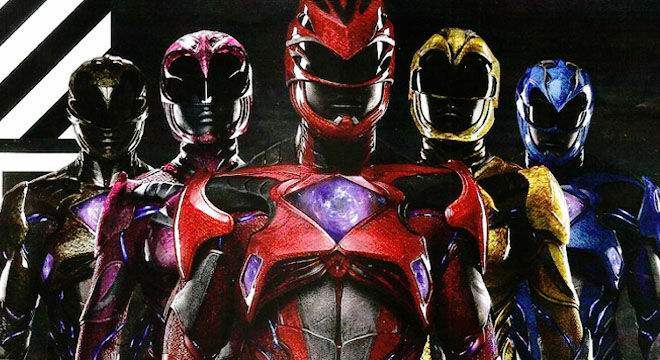 Got a favorite movie series that never ends? Is there a comic or television show that’s so deep you can’t stop digging? Let me know in the comments! Posted on March 15, 2017, in Lists of Six!, My Life, Star Wars, World of Warcraft and tagged Animorphs, Lost, Mortal Kombat, Resident Evil, Smoke, Warcraft. Bookmark the permalink. 5 Comments. Fallout!!! And Buffy the Vampire Slayer both have excellent lore. For some reason, despite loving the games, I’ve never dug much deeper into the lore of either Fallout or the Elder Scrolls games.